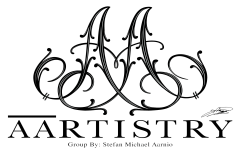 AARTISTRY Group is a privately held company and may accept new investors from time to time. All potential investors must apply and meet one of the following criteria: 1) Be a friend or family member of the principle 2) Be an accredited investor or 3) Invest a minimum of $150,000.00 CDN. No Registered accounts (RRSP's or TFSA's) will be accepted.